Materials: Wood, metal, MDF laser cut letters, paint. 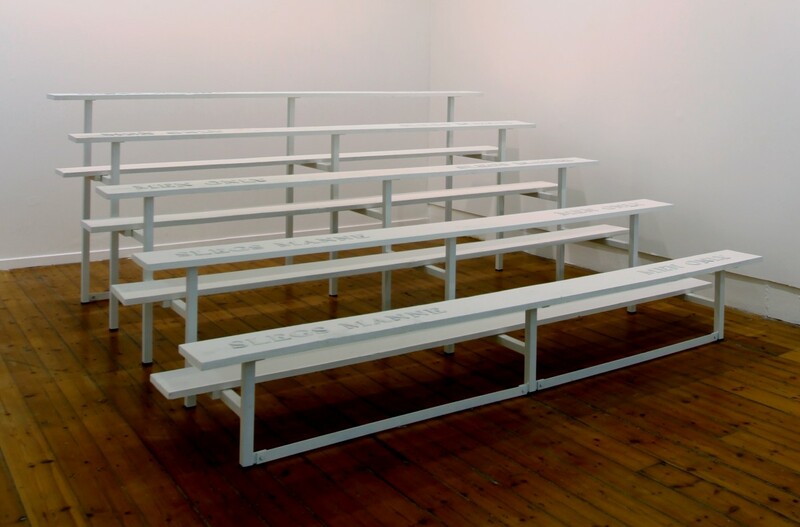 Kykersgetal consists of a spectators bench, the kind found on a sports field, facing a wall on which three number counters show (in real time) the various forms of abuse against women. The first counter shows the number of women being killed by an intimate partner in South Africa, the second one goes up every 17 seconds as yet another woman is raped and the third score keeps track of the number of women getting either physically or emotionally abused, which is faster than seconds can tick on a clock.